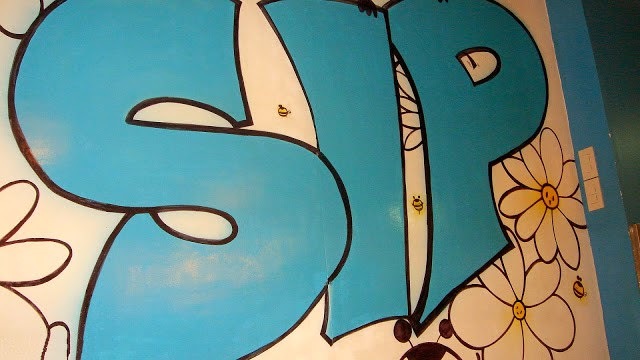 "Sip Milk Tea" is a store that mainly sells beverages with tea, hence the store`s name. As of now, it has more than 7 branches in the Philippines. One of the items that can be found in their menu is the "Chocolate Milk Tea." This kind of drink is new to my tastes therefore its aftertaste has taken me aback. 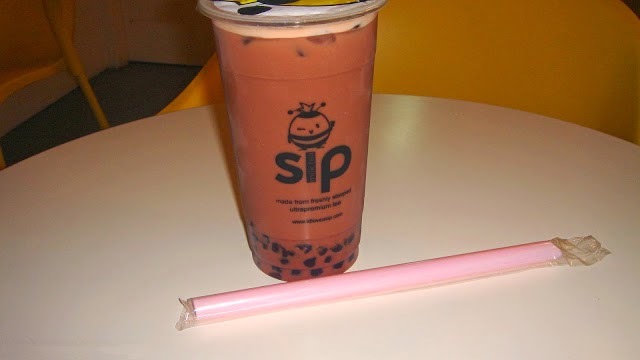 "Chocolate Milk Tea" was served with ice cubes and pearls inside. The additional mixes like the pearls are based on the customers` preferences. It was enclosed by a plastic covering made possible by a specific machine. They had different colors of straws like pink, yellow, and blue. The price range of their products can be considered as affordable. The young-looking store has a nice vibe of atmosphere with air-conditioning. It depicted cute and fun-looking figures. It is a small store with free wireless fidelity (WiFi). It is located inside a mall. At first, it was a bit surprising that it actually has a strong taste of tea. I was hoping that it would have a balanced taste between Chocolate Milk and Tea but the tea dominated. The drink isn`t something to be slurped down as fast as someone would. However, its taste provided mixed vibes of calmness and awakening. All in all, the store has a plain but enjoyable elation to it. Its products seemed delightful. Recommendations: It can be a place for studying, working and hanging out. Reminder: It was a first trip in this store and in tasting a milk tea. 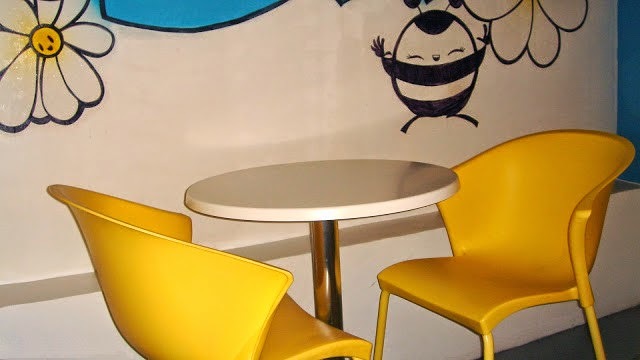 Stores of Sip Milk Tea may vary in design, location, menu, and arrangement for the different branches. 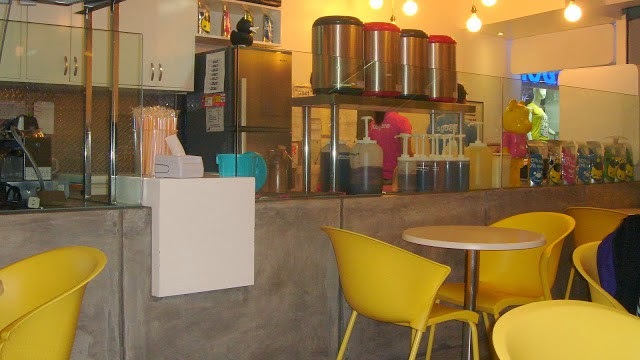 milk tea shops have sprouted everywhere in the country and had evolved from having a sweet milk as its flavoring to a wide aray of choices to choose from- chocolate, watermelon, hazel nut, mint,. 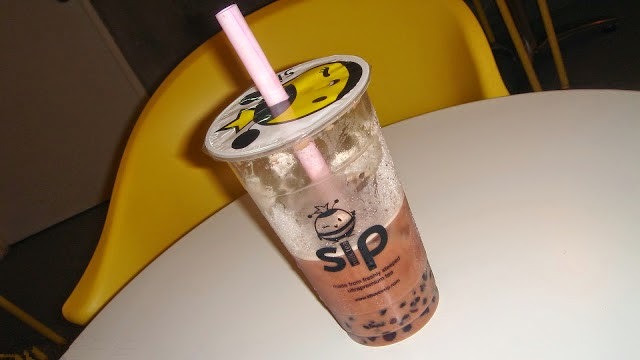 I really like milk teas that still have that distinct tea flavor... that the additional flavorings like watermelon or strawberry etc just add a little sweetness since on the first place its milk plus tea. I tasted this Milk Tea and never been tasted until now. There are other brands too that sells milk tea. I've tried chocolate milk tea before, and even cookies and cream. I still prefer the classic flavors where you can really taste the tea. Wow another new milk tea store to try haha! I love milk tea although I usually frequent another store. This stores looks really cute though. That's an interesting combination! I drink a lot of balck tea with milk and eat tons of chocolate so this might be a perfect drink for me. The place is probably not for staying in long but to pop in for a drink - I would go definitely go there! Ooh I love chocolate although I would have liked it to taste more chocolatey rather than tea-y ( I know that is not a word lol). I have never heard of chocolate milk tea before. I can't imagine how it can taste, I don't think chocolate and tea is a great combination. I love this drink. I was introduced it on my holiday when I had visited Malaysia and since then I am a huge fan. They call these shiro balls there. Ooooo I have never tried milk tea before! Sounds interesting so I may have to give it a try! Chill place for a refreshing drink! Have to check this out. These drinks seem to have become somewhat of a craze, I'm yet to be blown away by one though, not my favourite, I've always been a fan of the iced lattes though! I am not sure myself about the mixture of tea with chocolate. But I have to admit I was curious. Would definitely be willing to give it a go. I've never heard about Chocolate milk tea before. I like chocolate mix with milk or when I was kid l like drink tea mix with milk, but never try this three combination in one mixture. I like your honest opinion about the drink. It sounds like a very interesting drink! I will try it for sure! LOVED the way you reviewed everything! Sounds delicious but I am not sure how the chocolate milk tea would taste. Its got me curious though the combo seems very unusual. Milk tea isn't really my thing but I do love chocolate! I've heard that chocolate flavored tea mostly covers the taste of the tea.